‘Tis true – Chaos is going to be 11 on Sunday. You can scroll to the bottom of the post to see what he thinks about that. 😉 Here are a few posts with kitten pictures. Blodeuedd’s giving away a copy of Forged by Desire by Bec McMaster. Closes September 27. US & Canada. It’s Banned Books Week. Read about ten 21st century bestsellers that have faced being banned. Great quote from Judy Blume about censorship. “Romance and the ‘Meaning of Life’“. Some thoughts from Dear Author on the possibility of malicious book links. Becky Black on why authors shouldn’t fall in love with their characters. If your phone was borked by the iOS 8.0.1 update, here’s how to roll it back. Or you could give iOS 8.0.2 a try. 15 vegan comfort food recipes. Honey apple mini bundt cakes. The Dragon Building in Wat Samphran, Thailand. LEGO Mal Reynolds, Han Solo, and Peter Quill. 8-bit game version of The Matrix. Build cardboard furniture for your short-term lodging needs. Caramel apple coated with Caramel Apple Oreos. Kansas is declaring October to be Zombie Preparedness Month. Setting up your Christmas patio. 2001: A Space Odyssey as a 60-second cartoon. Snow leopard and baby! Lioness and baby! Baby leopard! Hummingbirds! Baby cheetahs! Red panda! Black kitten! 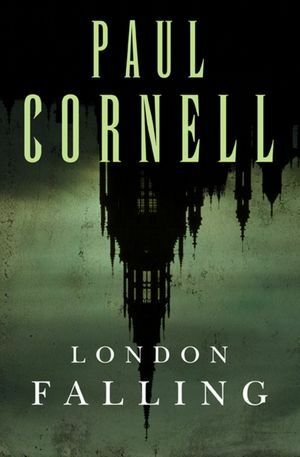 London Falling (Shadow Police #1) by Paul Cornell. Very good urban fantasy about three police officers and an analyst who find themselves able to see the unseen as they pursue something murderous throughout London. It took me a couple of chapters to get drawn into this, in part because it starts so mundanely and with a lot of names to suddenly remember. After that, I was immersed – so immersed that I didn’t even realize it was written in third-person omniscient until well past halfway. 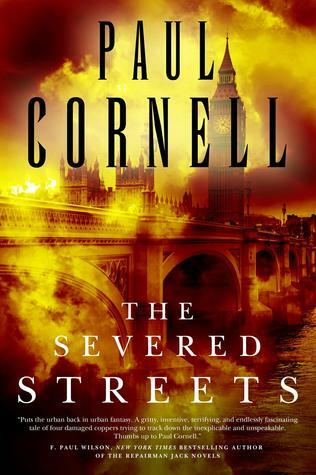 The Severed Streets (Shadow Police #2) by Paul Cornell. Pretty good urban fantasy, but not nearly as good as the first book – this was definitely a sophomore effort, suffering some times from self-consciousness and at others from trying too hard. While I enjoyed Neil Gaiman’s initial brief appearance in the book as a clever cameo, I found his reappearing and having a significant part to play in the narrative much less enjoyable. It felt as if a line was crossed, if that makes any sense. 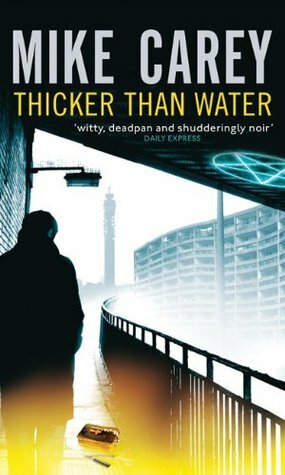 Thicker than Water (Felix Castor #4) by Mike Carey. Good installment of the series in which Felix finds out altogether more about demons than he really bargained for. Very intense read, this. Definitely reading the fifth and presumably last book (since it was written five years ago) immediately. The Naming of the Beasts (Felix Castor #5) by Mike Carey. I believe this is the final Felix Castor book, unless the author decides to begin a new story arc in the future. Felix ends up roughly where the series began, trying to fix what he broke three years ago. Many of the faces will be familiar from the previous books, as everything swirls down to a final confrontation. 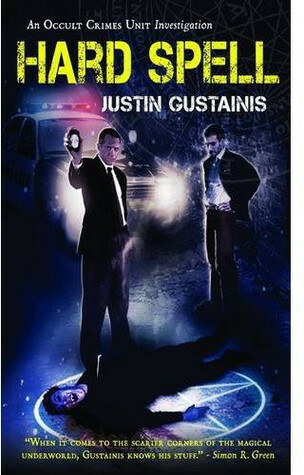 Hard Spell (Occult Crimes Unit Investigation #1) by Justin Gustainis. Ok urban fantasy from the point of view of a cop in the Scranton, New Jersey, Police Department’s paranormal division. Evil Dark (Occult Crimes Unit Investigation #2) by Justin Gustainis. 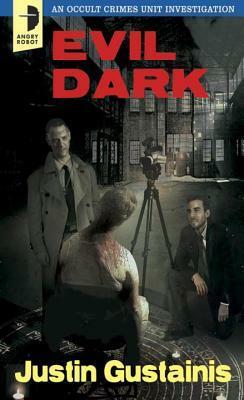 Ok addition to this series about a cop who investigates paranormal crime in New Jersey. These are an enjoyable enough distraction, but not exactly involving or compelling reads. Posted by Chris on Friday, September 26th, 2014, at 2:00 am, and filed under Linkity linkity link, Reading, Reviewettes. Happy Birthday to Chaos. Mine was 11 in April. Well, Chaos may not be celebrating, but I will. Here’s a *clink* for you, Chaos and many more ahead! Oh, Kansas. The state of intelligent design taught in the schools and the state that hasn’t sent a Democrat to Washington since 1932, the depths of the Great Depression. If they want to get ready for the Zombie Apocalypse, more power to them. 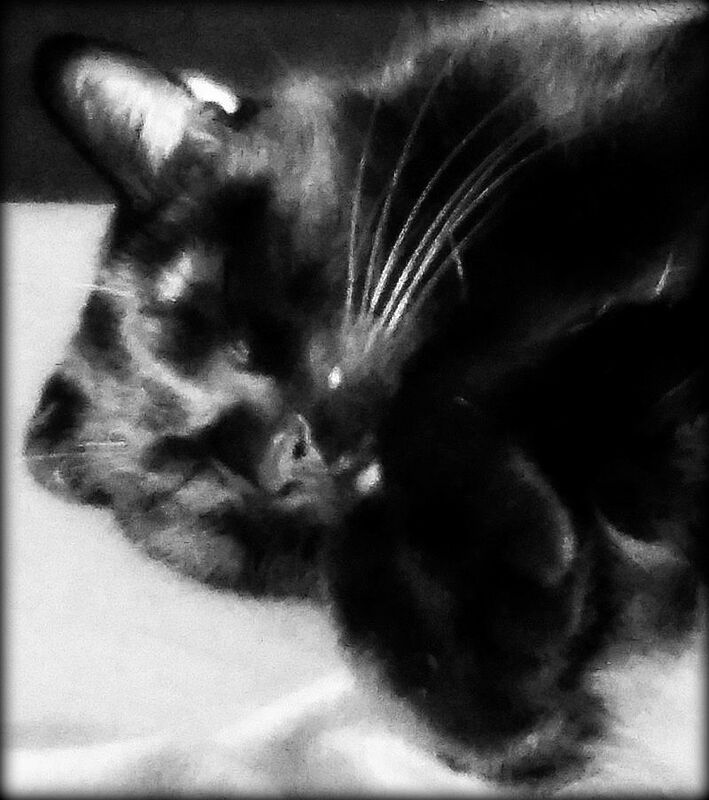 Happy birthday Chaos, from me and my sulky black kitty (who will be 1 on the 30th). He wants to be rested up for his big party. 🙂 Happy Birthday, Chaos! My kitty just turned 14 a few weeks ago. *snort* I shall feel delightfully subversive every time I replace a well worn copy of a Captain Underpants books in my school library. And have a Happy Birthday, Chaos! 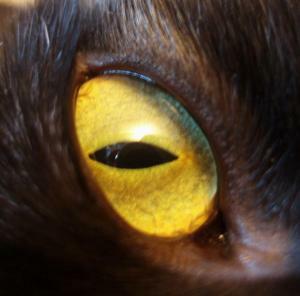 Chris- Give the Chaos kitty head butts from Howard and Tino, and many more to him. Happy Birthday Chaos – hope you are napping the day away. Well, he’s middle-aged now. Of course he’s napping. When he wakes up, tell him Happy Birthday for me. Take a good nap, kitty!!! Wishing you a HAPPY BIRTHDAY!!! A very late Happy Birthday x I’ve been away for the weekend!